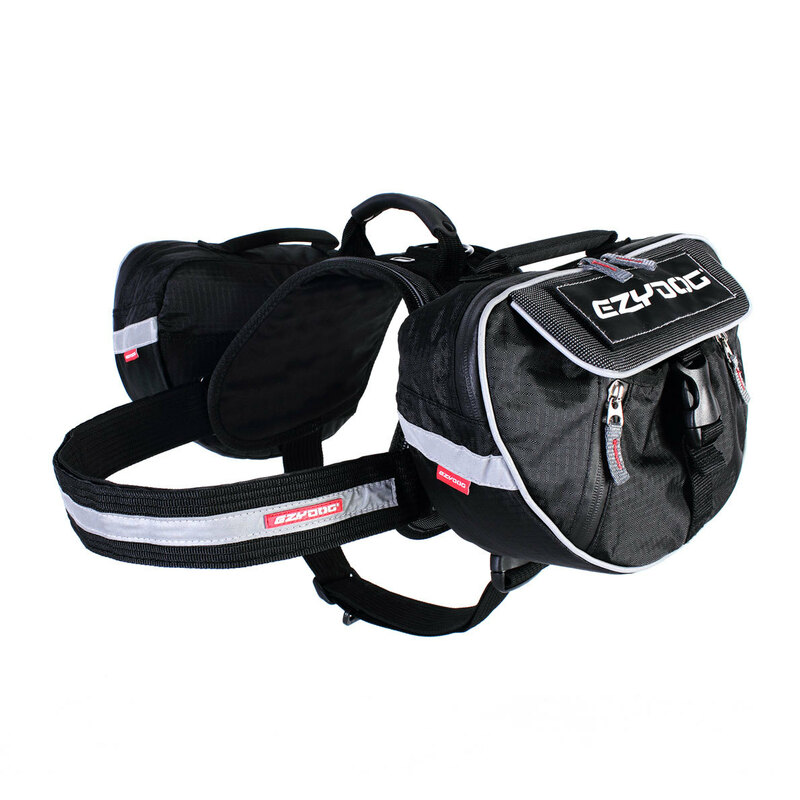 The Convert Harness is the most flexible harness in our range, with add-ons that allow you to customise it to your needs. 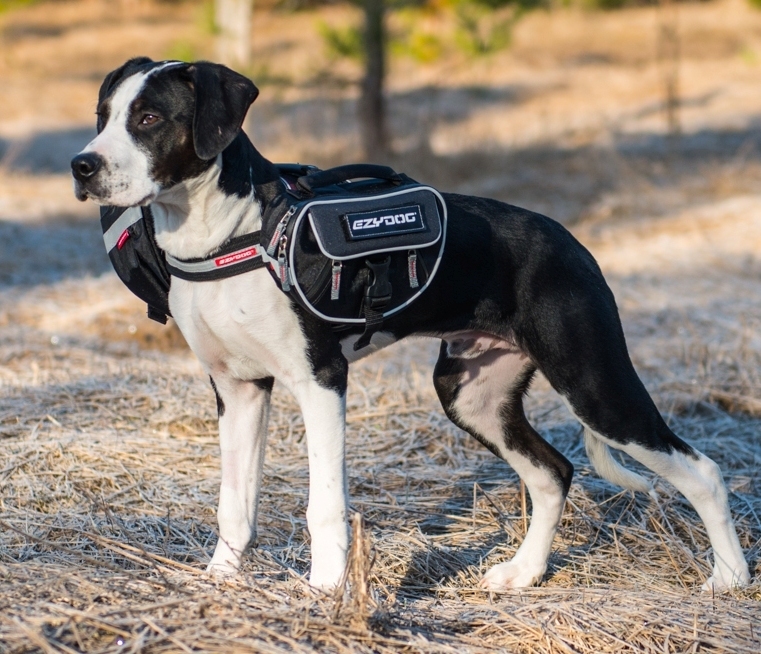 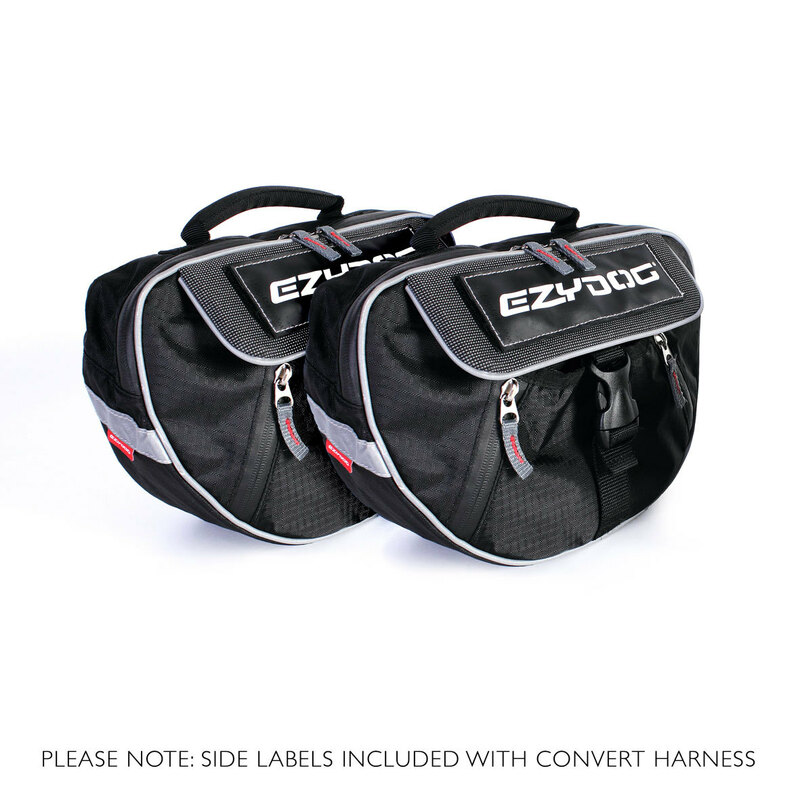 This Convert Saddle Bag set has been designed to compliment the EzyDog Convert Harness by quickly and easily turning it into a functional dog backpack. 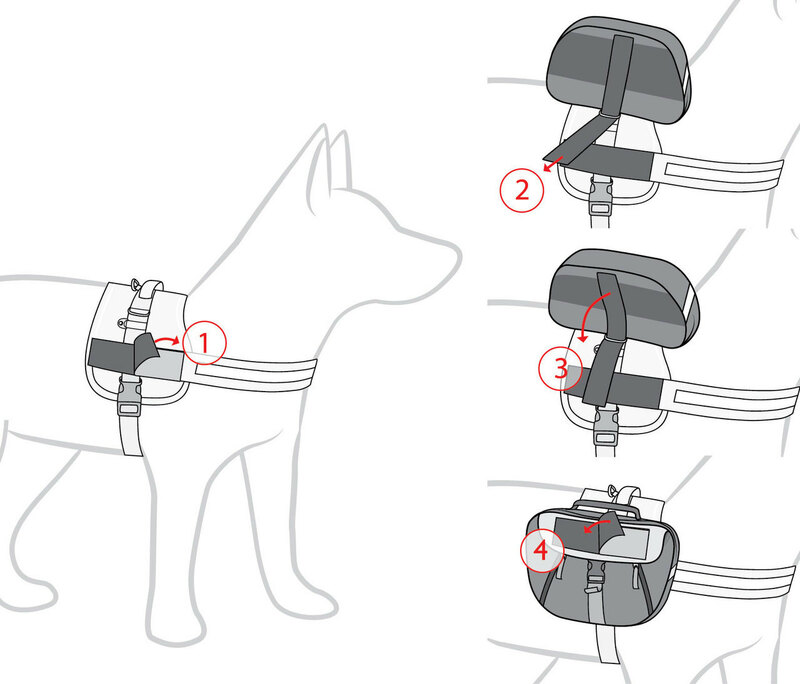 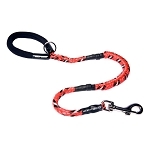 The bags are attached to each side of the harness, simply feed the webbing loop through the plastic ringlet on your Convert Harness and then seal down on the velcro to stop the bags from bouncing around.